Companies selling imported devices need not require a permit from the telecom department for handsets with wifi and bluetooth features, according to an official note, which would quicken the roll out of imported phones in the country. The Department of Telecom (DoT) on September 11 issued a memorandum stating that import of mobile handsets having bluetooth and wifi can be regulated under the foreign trade policy. 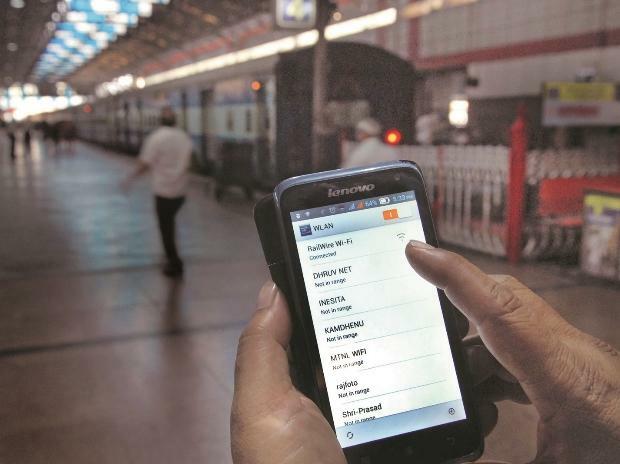 "Import of mobile handsets having bluetooth/wifi may be regulated in accordance with provisions of Exim policy...," the Wireless Planning Commission (WPC) under the DoT said in the note. Importers are required to get equipment type approval (ETA) certification from the WPC for products like Radio Broadcast Transmitter, TV Broadcast Transmitter, Communication Jamming equipment etc. DoT has come up with a clarification which says that import of mobile handsets does not require WPC import licences and therefore all imports of handsets should be regulated based on the DGFT (Directorate General of Foreign Trade) governed import conditions. The DGFT has defined import of handsets as a freely importable item without requirement of any WPC licences unlike for other products such as Radio Broadcast Transmitter, TV Broadcast Transmitter, Communication Jamming equipment etc, the ICEA said. The WPC has also exempted sample devices with wifi and bluetooth that are imported for testing purpose only from equipment type approval (ETA) certification. However, ETA certificate will be required if the test device has to be used in the country. ICEA, Chairman & National President, Pankaj Mohindroo said that the move of the telecom ministry completely put at rest the confusion over whether mobile handset imports are covered under the WPC import licensing conditions or not. "While as per the DGFT import conditions, mobile handset as a product category is always exempt from WPC licensing condition as it is defined as a freely importable item, however of late there was confusion in certain sections of the regulatory and compliance environment related to existence of such an exemption, which had brought fresh challenges for the industry," Mohindroo said. The DoT has also issued clarification on import of mobile phones under IMEI Cloning Detection and Restriction (ICDR) system. The DoT said that IMEI certificates are issued automatically by the system online and customs officials need to log-in in to the ICDR system for verification of the IMEI certificate and clearing consignment. "There are no charges for issue of IMEI certificate through ICDR system," the DoT note said.